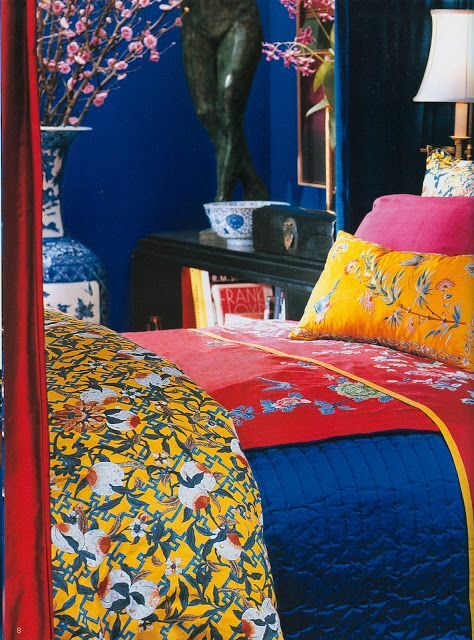 Navy blue walls anchor this stunning bedroom filled with blue and white Chinese porcelain and Chinoiserie fabrics. What a fantastic combination-beautiful clear bright colors!!! !